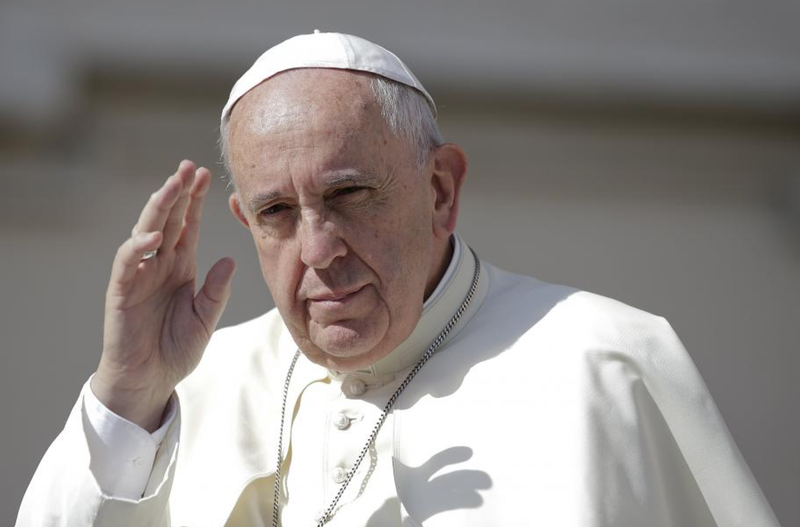 How Does Pope Francis’s Encyclical Affect the Climate Change Debate? While this did not come completely out of the blue—Francis has spoken about environmental stewardship, sustainability, and solidarity in the past and he describes environmental degradation in theological language—the Pope’s strong words and detailed discussion of wide-ranging issues from agriculture to biodiversity to economic liberalism surprised some. The “gravity of the ecological crisis” has clearly concerned him for some time, and he felt it was important to take a stand as the leader of the world’s Catholics. What implications can we draw from these developments? Firstly, it increases pressure on political officials preparing for the UN climate talks in Paris in December to develop ambitious binding commitments. China and India have yet to submit their proposed commitments, and the US’s (except for California’s) commitments remain weak. “I applaud the forthright climate statement of Pope Francis, currently our most visible champion for mitigating climate change, and lament the vacuum in political leadership in the United States,” says Marcia McNutt, editor-in-chief of Science journals. According to some climate scientists, current pledges by 36 countries insufficiently cut carbon emissions: they will only delay dangerous global warming (2 degrees C above pre-industrial levels) by two years. In addition, some governments of countries with large Catholic populations, such as Brazil, now have cover to take stronger action. Secondly, the Pope has weighed in and entered the domain of science. He may not be a scientist but he has clearly done his homework. He recognizes that the problems of climate change involve scientific analysis and assessments, but science plays just one part in a global conversation involving social, economic, and political issues as well. This pressing problem is not only a scientific one, and its solutions will not be either. US conservatives have adopted the refrain, “I am not a scientist,” as a cop-out to cast doubt on climate change and avoid taking action. But no more. The fact that the Pope—an important figure in an inherently conservative position—has now taken an unambiguous stance on human-caused climate change and the need for a global response, shows that conservative climate deniers are out of touch and should concede that it is time to work together to face this challenge. As much as 25% of US evangelicals approve of the pope but deny the science; I hope that they will listen to him and consider changing their minds. Fourthly, Pope Francis remains very conservative on population issues such as contraception and birth control. In his encyclical, he avoided these issues as part of the solution, even though overpopulation will continue to strain the planet’s resources and will result in increased energy consumption. However, in my opinion, too many people focus too much on population, perhaps because it’s an explanation that makes sense: since the time of Thomas Malthus, many assumed that if N people consume x, then if the population grows to a larger N, more will be consumed. But the problem is more complex than this. Focusing on places with growing populations puts the burden on the world’s poor, while rich countries are primarily responsible for the bulk of carbon emissions. Moreover, with a fairer distribution of wealth and increased access to education and employment, population growth will likely decrease, but if billions were to consume like Americans, the planet would not have long to survive. A focus on consumption and emissions per capita is warranted and puts the responsibility where it belongs. We may not agree with everything the pope says or writes, but he has begun a dialogue between religion and science. “Any technical solution which science claims to offer will be powerless to solve the serious problems of our world if humanity loses its compass, if we lose sight of the great motivations which make it possible for us to live in harmony, to make sacrifices and to treat others well.” As Francis eloquently put it, humanity must maintain its moral compass, and we all—believers and nonbelievers alike—need to find a way to bridge our differences and take action now to protect our planet and its inhabitants.